The modern world is full of change and upheaval. 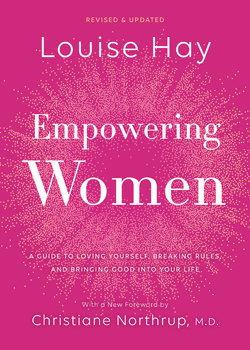 However, in this inspirational book, Louise Hay reveals that true changes come from within. She points out that when we, as women, are willing to shift our internal ground, we operate on a much more expanded level in life. Louise's goal was to see all women experience self-love, self-worth, self-esteem, and a powerful place in society. You'll see how Louise's penetrating insights from decades ago are still just as relevant today. In her inimitably warm and forthright manner, she demonstrates how women of all ages and backgrounds can make the coming years the most productive, fulfilling, and empowering ones ever.